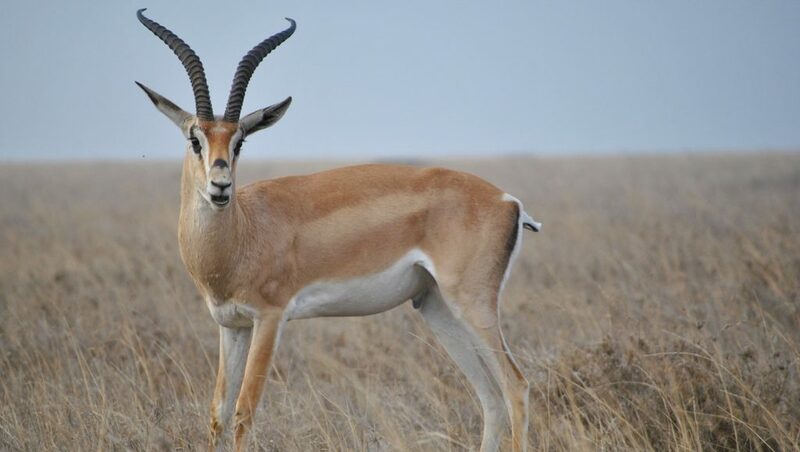 A company that sources high quality foam and rubber component, a charcoal and briquettes manufacturer, a farming co-operative and a corporate shuttle service — these are just four of the 40 participants in the second cohort of the South African government’s National Gazelles programme. The programme, which is run by the Small Enterprise Development Agency (Seda), aims is to grow the value of each of the 40 participating small businesses by 20% over the next three years. The names were announced by Small business development Minister Lindiwe Zulu on Friday (1 December) — about five months after the second cohort kicked off in June. It is not clear why it took so long for Zulu’s ministry to announce the names (see the names of the first cohort here). They include 11 participants from Gauteng, eight each from the Eastern Cape and KwaZulu-Natal, seven from the Western Cape, four from the North West and two from Free State. Most of the firms are black-owned and from the manufacturing sector (12 such firms). There is only one participant that is from the ICT sector. The company was set up 2007 as an enterprise development company providing non-core services to Mercedes Benz. The black-owned firm started with five employees and has since grown to 170 fulltime employees. With diverse expertise in the logistics, warehousing and the automotive sectors, Anax Logistics’ key clients include Mercedes Benz and Total SA and major transport customers. The company is also part of Total SA’s Siyakhula enterprise development programme. Established in 2011 and based in the Eastern Cape Automotive hub, DynaFoam Converters sources high quality foam and rubber components locally and worldwide. The black-owned company was conceived in the Eastern Cape in 2010 to establish and successfully operate a large total solutions company that would service the engineering and construction sector. The black-owned firm is a cleaning detergent manufacturer based in Walmer, Port Elizabeth. It distributes a wide-range of cleaning detergents and cleaning materials throughout the Eastern Cape and also provides cleaning services. The company is a black female-owned firm that provides property development and construction services in the general building and civil works fields. Ntlantsana Accountants and Auditors is an accounting and auditing firm. It is also one of the only finance companies which offers accounting services in vernacular languages such as isiXhosa, isiZulu, isiNdebele and siSwati as well as other South African indigenous languages like Sesotho, Setswana and others. The black firm is a service, hospitality and trading holding company that services the township economy. The company has six business units. One of its businesses, 469 AllinOne Carwash, specialises in the provision of high quality and professional vehicle interior and exterior washing services. The inclusion of the 469 Cafe Restaurant as a supplementary service to the existing car wash creates an exciting and elusive experience for both the existing customers and the new alike. RV Footwear is a fully-fledged footwear manufacturer, creating a full range of ladies, men’s and children’s slippers, sandals, and school shoes. RV Footwear was established as a female partnership between sisters Roxane Titus and Vida-Ann Smith in 2013 to continue the family legacy of shoe-making. Icalc Training Academy is a registered and accredited private TVET college which believes in cultivating a passion for learning. It offers NATED engineering and business study qualifications. The Angus family are devoted to the traditional farming methods that they have practised since 1916. They brought the first Wagyu cattle to South Africa — all of their full blood animals can be traced back to the founding stock in Japan and Scotland –- and are the leading producers of Wagyu in Africa. The company is a specialist environmental company, established for the purpose of providing a holistic environmental management service to public and private sector clients, including development agencies involved in infrastructure development in Southern Africa since 2003. This digital marketing company focuses on the travel and tourism industry. The firm assists clients with various digital strategies and implementations. Ikim Solutions is a black-owned company which manufacturers household cleaning chemicals, but is also a marketer and distributor of water purification and water treatment chemicals. The black-owned company, set up in 2012, focuses on holistic client solutions including food manufacturing and supply, accredited training programmes, employee wellness programmes and facilities hygiene supply and management and associated FMCG supplies. JEN-TIL creams have been developed by Sister Jenny to improve the quality of life for people with pain or disability and to improve the comfort of the skin, especially in diabetics and people suffering from eczema and wounds that won’t heal, and people with very dry skin. The creams have been have been clinically tested to hydrate the skin within minutes and have been microbiologically tested. The furniture manufacturing firm is a family-owned business that takes pride in providing sterling customer satisfaction by rendering quality service and products at value-for-money prices. They also maintain a friendly, fair and creative work environment, committed to diligent and striving for excellence. The company is an award winning African brand, that innovates in quality handcrafted jewellery and accessories out of local manufactured rope and African materials. Reba Chemicals, set up in 1982, was formed with the purpose of manufacturing imported chemicals locally in South Africa. The company specialise in producing solutions for, but not limited to, the production and metal industries in South Africa and some regions of Africa. Portia M is a privately black-owned, led and managed, Johannesburg-based company established in 2011. Portia M’s vision is to become a leading skin care and cosmetics brand in Africa and the world at large, specialising in quality skin care with locally sourced ingredients. The black-owned company operates primarily in the corporate shuttle and tourism sector. In the tourism arena Siyasizana Shuttle Services (Pty) Ltd trades as TourAfrika. In 2014, Neil Johnson started Solve Direct Electronics as a 100% black owned business operating from Saab Grintek Defence’s premises in Highveld Techno Park, Centurion, with access to its security and high-tech facilities and equipment. Chemweb’s core business is the manufacturing of effective cleaning products that minimise harmful bacteria in the public places and provide solution to household cleaning problems. Chemweb recently added range of specialised cleaning chemicals for hospitals and funeral parlours. In addition, it sources and supply other cleaning equipment such as brooms, dust pans, mops and protective clothing.The company won the third prize in Umyezane Business Award in the category of Best Exempted Micro Enterprise in 2014/2015. Chemsol Adhesives is owned and driven by a woman with proper research in the chemical and plastics industry to provide a service in the market place that is both outstanding and competitive without compromising on quality. The company has received numerous awards for their outstanding customer service, excellent product quality and continuous innovations. Divine Juice Company is a 100% black owned company that produces fruit juice for the market of KZN. The company was established in 2010 and supplies fresh fruit juice to hotels, upmarket restaurants and conference centres and produces nectar fruit juices and stillwater for various retailers within the province as well as for fast food outlets, caterers, canteens, schools and tertiary institutions dining halls. A black-owned waste management company based in Durban, the company is affiliated to the Institute of Waste Management of Southern Africa and holds the chair of the Environmental Management Forum of the Durban Chamber of Commerce and Industry. A diversified construction company with unmatched experience and a safety record that specialises in the manufacturing and installation of piping and fittings for the transportation of water and products in sectors such as mining, chemical plants, power stations, agriculture, construction sites and water reticulation. Established by medical technologist Ishara Ramparsad, Lab24 provides cost effective pathology tests. A highly competent team of medical technologists, phlebotomists and administrative staff has contributed enormously to Lab24 which has kept pace with technological advances – it features state of the art equipment, including a Gene Xpert analyser for HIV, TB and sexually transmitted diseases. Sense of Nambitha provides qualitative and quantitative consumer sensory research to the food and beverage manufacturers allowing them to provide products that consumers want and desire. This sensory research is used to assess and optimise the intrinsic sensorial aspects of products, using consumer insights to develop the ideal product map. TS Cibane Consulting CC was formed in 2009. The company aims to assist, encourage and provide mining and production license applications and craft social and labour plans. The business Barui Driehoek Cooperative has five full-time farmers who have, over the past few years shown outstanding commitment to farming and have won a number of prizes for their achievements as emerging farmers. This 1855 hectares’ farm was allocated to the cooperative by the Department of Rural Development and Land Reform. The beneficiaries were allocated the farm in 2011. Winner of nine awards, Boga Legaba Guest House & Conference Centre is a four-star graded establishment based in Mahikeng, North West. Since 2003, Boga Legaba have grown from two en suite room to a 27-room development with the addition of a health spa and business hub to cater for business travellers who prefers to visit in a homely environment. Bricks Galore is located in the town of Taung. It started as a home-based project in 2015 and developed into a business when local community members showed interest in their products and started requesting product. Brick Galore’s primary business goal is to expand its production plant, expand the current brick-making business and also set up a general building material supply shop in Modimong. The company was set up in 2012 and is based in the Molopo Local Municipality in the North West and focuses on general water construction and sanitation services. Bikes ‘n Wines is a bicycle tour operator, cycle boutique and café in the heart of Downtown Cape Town. The tours division, run and coordinated by the capable Bikes ‘n Wines team is one of South Africa’s leading bicycle tour operators. Whether it is e-learning, workshops or compliance monitoring tools, Compliance Online helps businesses to mitigate the magnitude of risks. With a 15-year year track record of assisting the employees of some of South Africa’s most prominent companies Compliance Online’s training solutions simplify complex legal content and effectively mitigate risk through interactive training, easy-to-read policies and ongoing monitoring. Braaibricks for Africa, which is owned and managed by Peter Reinstorf and Dulcey Mjekula, opened in August 2008. Today it manufactures charcoal and briquettes and packs under contract for Safari Vervaardiging CC. Through Safari’s marketing and distribution arm, our products are distributed throughout South Africa, in all major chain stores – Pick ‘n Pay, Checkers, Shoprite, SPAR, Massmart and Food Lover’s Market – forecourts, other independent outlets, and also exported across the world. Innovo Networks is a high touch, business focused on voice, data and cloud that provides businesses with a variety of on-site and remote solutions to maintain systems, and do so in a cost-effective way. MachMan is a young and vibrant company offering the specialised services of machine maintenance, installation and manufacture. Safari Vervaardiging is a family owned company situated in George that provides a wide range of quality braai and barbeque merchandise such as firelighters, charcoal, briquettes, firewood, braai equipment and outdoor related products. The increasing demand for “green” products has brought up the design of the new Safari Eco Lite, which is manufactured from recycled newspaper and bio-fuel. Washtub Industrial Laundry Service, which was founded in 1995, specialises in providing comprehensive, agile and pristine laundry, linen and workwear management solutions to the healthcare, hospitality and manufacturing industries.